So despite a baldfaced lying attempt by the Deputy Minister of Information on national television that the government did not shutdown the internet we have it on good authority they did indeed force Econet and other Internet Access Providers to shutdown the internet. I think the government did not want the world to know they had blocked the entire internet but most importantly they did not want us to know how they had done it i.e the legal mechanism they had used. While Mr Masiyiwa says his companies were complying with the law I am not sure when it comes to Zimbabwe, which law is he referring to here. I am not a lawyer but the Interception of Communications Act Chapter 11:20 does not give anyone the power to block the internet as some people are claiming. 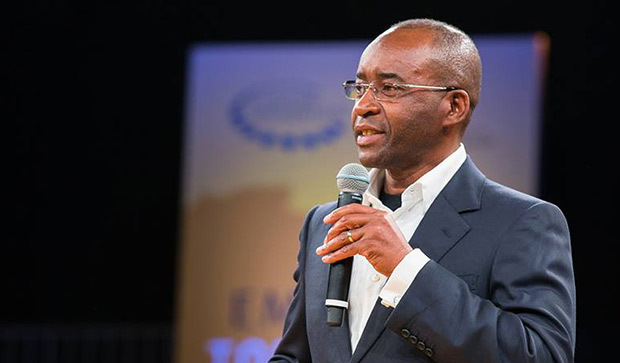 I could not find Mr Masiyiwa’s original post unfortunately but some blog posts quote it at length and claim that section 6 (2a) of the Act says local management will be fined and/or imprisoned if they refuse to shutdown the internet. Section 6(2) of this act says nothing of the sort. It is section 9(2) that says that. This Act only gives government the power to intercept communications and not block them. In fact the Act only authorises the government to intercept the communications of a specific person/entity/organisation/group of people. It does not allow the government to shutdown the internet not even close. This is as vague as vague a clause as these things go. In fact I seriously doubt this clause will survive scrutiny in the courts. It will most certainly be struck down for being vague. In any case using this clause to shutdown the internet is still against the spirit of this Act. It was most certainly never meant to allow the government to shutdown people’s internet. Using it to do this would involve a very generous reading of the Act which should not be permitted given constitutional provisions that guarantee people’s right to communicate using the internet. Guys still can’t access the internet using Powertel and Telone so is it only Econet that has resumed internet connection…? The majority have human rights too! It’s not right that people can just call for demos, without ensuring that they have capacity to control them. Even EMA law does not allow just starting a fire if you have NO capacity to control it. This says warrant. In any case the vague clause I refer to here does not supersede the constitution anyway which expressly forbids such a directive which cannot be called a Warrant in any case but a directive. Section s61(3)(b) of the Zimbabwean constitution stipulates a minister cannot issue such a directive anyway. Further to a warrant issued by the Minister of State in the President¿s Office for National Security through the Director General of the President¿s Dept,acting in terms of the Interception of Communications Act,Internet Services are currently suspended across all networks and Internet Services Providers.We are obliged to act when directed to do so and the matter is beyond our control.All inconveniences are sincerely regretted. Dear valued customer , Please be advised that the internet is back online under a directive that Facebook ,YouTube , Whats App ,Twitter will remain closed until further notice. Any inconvenience is sincerely regretted. I wonder how ED is going to navigate the inevitably difficult questions that he’ll face in Davos regarding shutting down the country’s internet and WhatsApp? I find it difficult to imagine a foreign investor now wanting to step foot in Zimbabwe, far less bringing his money into the country. I believe that irreversible damage has been done to our dream of wooing investors. Remember, money goes to where it feel safest. If we want investment then we need to show investors that we play the game according to internationally acceptable norms and standards and guidelines. When the poor have become so desperate that they have nothing to lose by going onto the streets, then shutting down the internet is not the solution. The government is not painting itself in a good light by withdrawing the citizenry’s access to information. Every other investor in Davos will be going with own more expensive Jets, or chartered Jets. Obviously they wont be expecting a president of a country to fly commercial . Ordinary business people pay $50 000 just to attend Davos, not including other costs. We need order, peace and unity in the country from everyone and all sides. If ED fails the whole of Zimbabwe fails and we all suffer. No blame game, or playing politics with people’s lives. Burning things and looting is not the answer to Zimbabwes problems. Such behaviour makes Zanu PF look rational. If this is all the opposition can think of then we will have Zanu PF forever because chaos is not the answer. There is need to respect the rights of other people when you seek respect for your rights, not prevent prevent freedom of movement, force people to your demo,not loot, burn private and public businesses and properties. After all your tax money will buy new Range rover to replace burnt police vehicles and public property, and you will have no play to shop for food when the businesses you destroy close and new ones refuse to open. There is no rule of law in Zimbabwe and these people actually are above the law. What do you make of these parts of our Constitution??? (4) Legislation must be enacted to give effect to this right, but may restrict access to information in the interests of defence, public security or professional confidentiality, to the extent that the restriction is fair, reasonable, necessary and justifiable in a democratic society based on openness, justice, human dignity, equality and freedom.